Who Am I? - Before I was born, I was. After I die, I will be. A timeless Being came from, and into, timeless Eternity. Time was formed, and time is dissolved, and I remain what I have always been, a Being with depths to which there is no beginning, and heights to which there is no end. Since the supreme Divinity as the Timeless Eternity and as the Time Eternity - Sadashiva Tripurasundari - is dwelling in my Heart, Life, Consciousness, and as there is no difference between That and Me and Me and That, I am dwelling in the Soul of all Gods and Goddesses, all Saints and Sages, all beings visible and invisible. And, yet I am what I am, the Transcendent Reality. If you know here on earth the greatest Sage, Saint, Guru, the greatest clairvoyant, prophet, or anyone to whom supernormal power of perception, or anyone to whom daily contact with God, is attributed - then, ask that person, who Swami Omkarananda is. 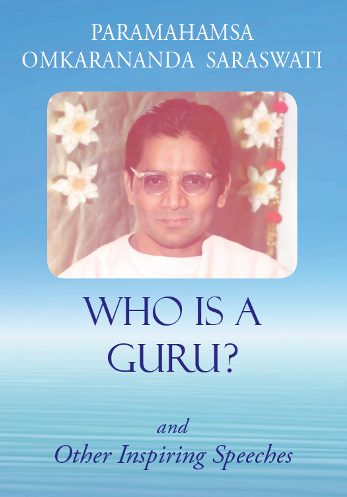 He will confirm to you that the only true and correct description of Swami Omkarananda is the one he himself has given. This book is available directly from Omkarananda Ashram Himalayas here.